Prof. Amit Mookerjee is currently Professor, Marketing Management Area, at the Indian Institute of Management Lucknow (IIM - L), based at the Noida Campus. In the recent past he has worked with the Center for Macro Consumer Research, NCAER as the Head of Analytics and Research, and has led the Center in the latter part of the tenure, completing the major research project on National Household Survey of Income and Expenditure: Living in India 2011, surveying over half a million households. He has also served as the program chair of the PGPM for Working Executives (WMP) at the IIM-L Noida Campus, and held the BPCL Chair Professorship, a research chair instituted at IIM Lucknow by BPCL in the area of Customer Care during 2010-11. 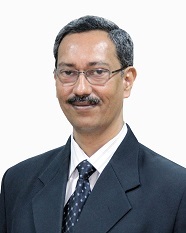 Alternating with his academic stints, he has also worked for short stints in the corporate sector, in roles such as the Group Head of Research and Planning at NCLS, a loyalty services firm, and at the Times of India Group. He has been teaching and training and consulting in the area of consumer behavior and CRM for more than a decade, with assignments across diverse sectors such as telecom, insurance, white goods, agro-products etc. He also has executed assignments in the development sector, for instance reviewing market driven development projects, analyzing the value chain and programs deriving support from market mechanism, CRM capability in banking and SME development, etc., for NORAD/FICCI, GTZ/DAE etc. He was also a member of the Task force for Research on Quality, Quality Council of India, besides serving on committees in organizations such as AICTE, business schools, etc. particularly in the area of PGPM, doctoral and faculty programs. He completed his BA (Economics and Psychology), MBA, and a PhD in Management, from the ML Sukhadia University, Udaipur. Customer Relationships: Profitability/CLV drivers, Satisfaction, Trust, Commitment. Loyalty. Value orientation, drivers of adoption, demographic-values-lifestyles linkage in India. Customer Lifetime Value (CLV) Metrics, Cost To Serve, Customer Profitability.